How do you feel when you return home after a busy day? Relieved? Stressed? Overwhelmed? In this day and age our lives are becoming increasingly demanding, but our homes shouldn’t add to this stress. Transforming your home into an oasis of calm may be another job that falls behind your other daily chores. However, creating a little area for relaxation in your home can help you to unwind, recharge and tackle some of those more urgent tasks. A seemingly obvious step, but creating a small area that is clean and free of too much fuss is a great place to start. Trying to declutter your entire house may seem like a tall order, so start small and tackle one area at a time. A visually clear space will in turn give you some head space and allow you to get your thoughts in order. Creating a clutter-free zone is also a great foundation to begin building your very own relaxation space within. Once you have chosen and uncluttered your cosy-corner, decorate it with colors that will channel your inner calm. For some, muted neutrals are the perfect peace-making colors, whilst for others, warm, cheery tones are what whisk them away to their happy place. Whatever your preference is, dedicating an area purely for relaxation could also present an exciting opportunity to try out something new. Pantone has revealed that Ultra Violet is its ‘Color of the Year’ for 2018, but if that is too bold for your tastes, there are plenty of exciting color trends to experiment with this year. Whether you are planning on redecorating completely or making the most of what’s already there, ensure it is an area that you want to spend time in. If your budget doesn’t stretch to a total restyle, pick some of your favorite pieces from other rooms that you can bring together in one space to harness those happy vibes. Complement your colour scheme with some seriously cosy interior touches. Whether relaxing for you is listening to music, reading, meditating or just zoning out for a few minutes, make sure you create a space that you will really be comfortable in. Consider a comfy armchair to recline in, a padded window seat with plenty of scatter cushions to sink into, or even a thick rug and some oversized pillows to spruce up your chosen corner. Creating a zen-zone that you will want to keep coming back to is also about adapting that space to changes in season too. During the darker winter months, add in plenty of textured soft furnishings like fluffy blankets and patterned cushion covers for an element of luxe in your relaxation space. Once springtime comes around, try switching to a brighter color palette with light fabrics and designs to lift your mood. Even your best decluttering efforts might not open up a small space as much as you had hoped. A correctly placed mirror, that fits the space perfectly, can do wonders for a cramped corner. A floor length mirror, that fills and alcove for example, can give the illusion of double the space. Be bold with your choice and you have the potential to add depth and brightness to the area. Just remember that whatever is in front of the mirror will be reflected, so be mindful in your choice of what you team with it so as not to spoil the ultimate effect – you don’t want to emphasize the scruffy back of that well-loved armchair. Plants have long been recognized as having mood-boosting benefits. Whether it’s freshly cut flowers, a tropical parlor palm or an ornate orchid, adding some greenery into your zen-space is great for bringing both style and tranquillity into your interior. If your designated space suffers from a lack of light, or if you just do not have the green fingers required to keep plant life thriving, why not try a faux alternative? Artificial plants are a great choice during the winter months when regular plants may struggle. Keep your relaxation area looking fresh and leafy all year round with ‘fauxliage’ and then bring the ‘real deal’ back into the mix when the season starts to get a little brighter. If completely redecorating is beyond your budget, or if you are in rented accommodation which restricts your decorative options, using a wall decal is a great, non-permanent way to add a little personality to your chill-out area. There is also plenty to choose from when it comes to wall decals too; whether its pretty petals, an inspirational quote or a full mural that you’re after, there is something available for virtually every type of space. Creating your very own relaxation area in your home doesn’t have to be a huge or lavish project. 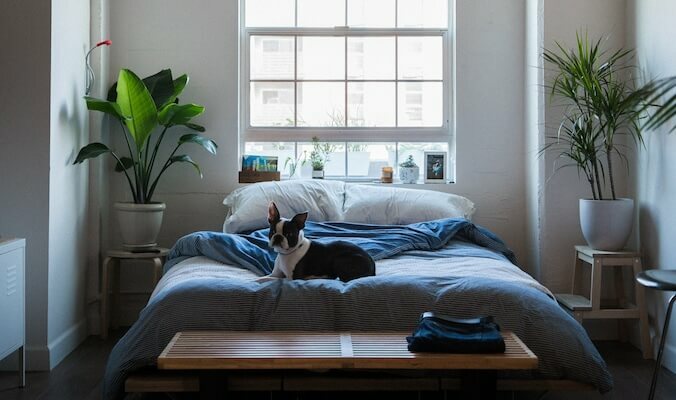 Whether you are going for a total transformation or sprucing up a small space to the best it can be, making simple changes, and tackling each step individually will have you crafting your very own zen-space in no time.